It’s no secret that playing games with a controller outfitted with paddles allows for a big advantage. 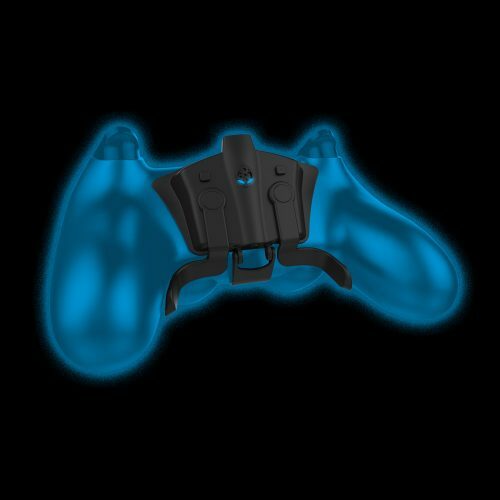 Whether it’s the SCUF Impact, the Razer Raiju, or the Nacon Revolution Pro, the main selling point of these pads is the easy-to-reach buttons placed on the rear. Being able to activate face buttons without taking your thumbs off the sticks is huge. This is especially true for first-person shooters, where simultaneously jumping to evade while adjusting your aim can mean the difference between a cheeky kill and an unfortunate death. Having extra buttons on the back of a controller is objectively better. There’s no debating that fact. However, it can also be expensive, and I know of many gamers who have been put off by the premium price tags. Wouldn’t it be great if there was a cheaper alternative? This is where the Strikepack FPS Dominator from Collective Minds comes in. For just $40, this adapter can turn your standard controller into a paddle-toting tool of destruction, capable of going up against the more premium custom pad solutions and more — lots, lots more. The Strikepack comes with a 10-feet USB cable and instructions. Initially, the adapter felt suspiciously lightweight, but once it was attached to my DualShock 4, I appreciated the lack of added bulk and the ergonomically sound design. The paddles’ positioning makes them easy to activate without doing so accidentally. They are removable and replaceable, using magnets which keep them attached securely. Both paddles are re-mappable, which is done with the simple pushing of two buttons. Wireless is one thing that the Strikepack doesn’t do well. In fact, it won’t work at all without a wired connection. However, those who can put up with always being plugged in, will be rewarded with a lower latency connection. Yes, even if you own an older DualShock 4, you will still benefit from connecting via USB. My old model pad equipped with the Strikepack seemed as fast, if not faster, than my newer model. Collective Minds are clearly doing something right here. The 10-feet cable that comes in the box isn’t proprietary, and you can use other micro USB cables, but it’s advised that you stick to what’s supplied. 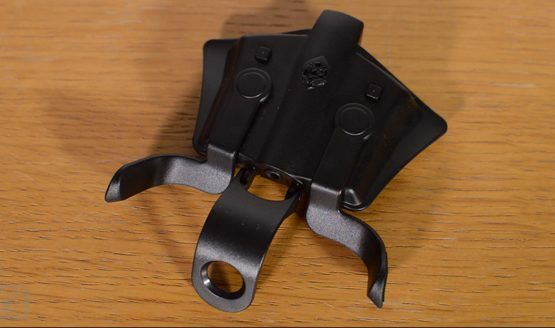 My one hiccup with the Strikepack FPS Dominator occurred while using a different cable, with an error popping up saying “Too many USB devices connected.” I’ve reported this to Collective Minds, so they are aware of it. I also took the time to thoroughly test the headphone jack, which worked great with the standard PS4 headset, as well as my aging Astro Mixamp. Switching to the “Mod Mode” requires a quick pressing of two buttons. The Strikepack’s rear light will go from white to blue, and you’ll now be able to cycle through and activate different exploits. You scroll through the different mods using the controller’s face buttons, selecting from rapid fire, burst fire, drop shot, jitter fire, quick scope, auto run, and more. I tested a bunch of these in Call of Duty: Modern Warfare Remastered against bots, and they worked fine — so fine in fact that it’s outright cheating. Let me make it clear: PlayStation LifeStyle does not condone cheating of any kind in online multiplayer, and I personally find that the mods put a bit of a stain on an otherwise fantastic product. Also of note to those thinking of buying the accessory just for the mods, most multiplayer games have kill-cams, so there’s a chance you will get reported and have your account banned. Don’t say we didn’t warn you. What I love about this adapter is that it works immediately right out of the box. Push a couple of buttons to map the controls, and that’s it. However, if you’re the type of gamer who likes to have a tinker with your gadgets to try and optimize performance and whatnot, there’s a load of customization tweaks available within the configurator software. Here you can remap all of the buttons with ease, change sensitivities and dead zones, and much more. Plugging the Strikepack into a PC also allows you to update it with the latest patches, and support has been great thus far. For just $40, the Strikepack FPS Dominator gets you paddles and low latency USB connectivity, two brilliant features that will benefit any player, so long as you have an existing controller to plug it into and don’t mind forgoing the convenience of wireless. For the money, the Strikepack FPS Dominator is a no-brainer for anyone wanting that “SCUF advantage,” without dropping serious dollar. Just try and avoid the dark side of mods, since that isn’t fair and the proper way to play, and there’s the whole “you might get banned thing” as well. Strikepack FPS Dominator review unit was provided to PlayStation LifeStyle by Collective Minds. You can find our Review Policy here. You can learn more about the SCUF Impact by watching our 60 Second feature or by visiting Collective Minds’ website here.